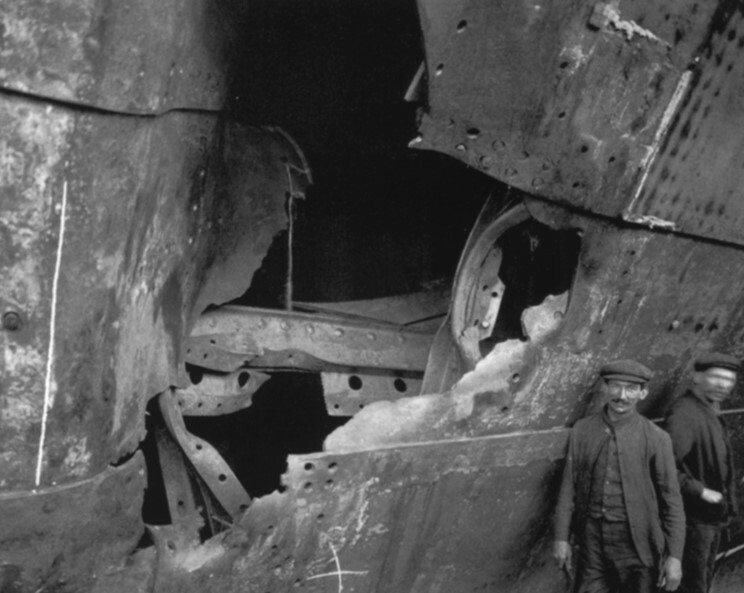 Damage to the hull of the Olympic after being rammed by HMS Hawke on September 20, 1911. 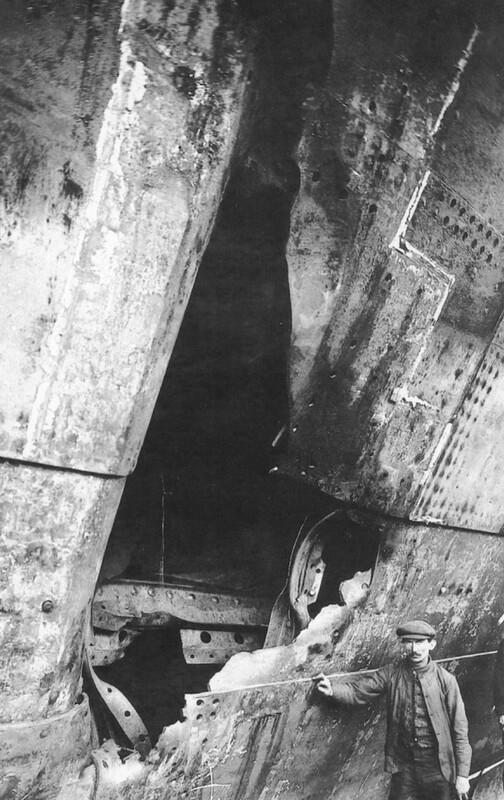 Olympic (left) arriving at Harland & Wolff for repairs after the collision with HMS Hawke. 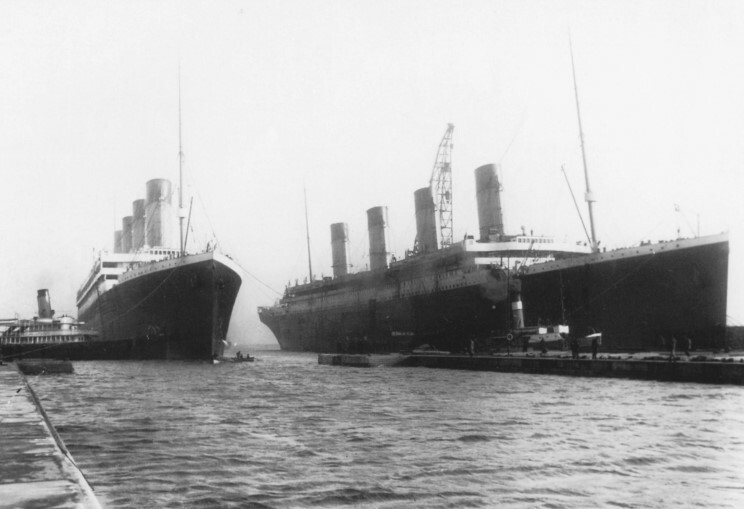 Titanic's (right) construction was delayed so the Olympic could be repaired and returned to service. Olympic seen off Ireland. 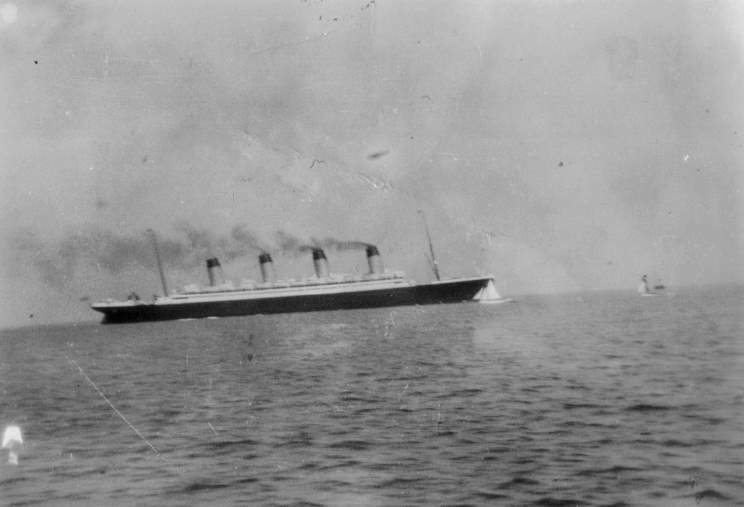 This photograph is often identified as being Titanic however the high resolution version clearly shows this ship to be Olympic. 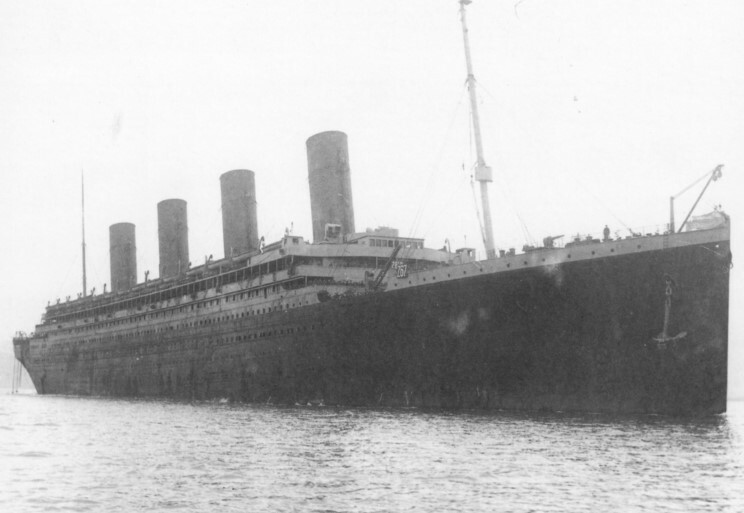 This never before published photo shows Olympic departing Southampton, England sometime in 1912. It was related to the family that the photo was taken sometime around the time of the Titanic disaster. 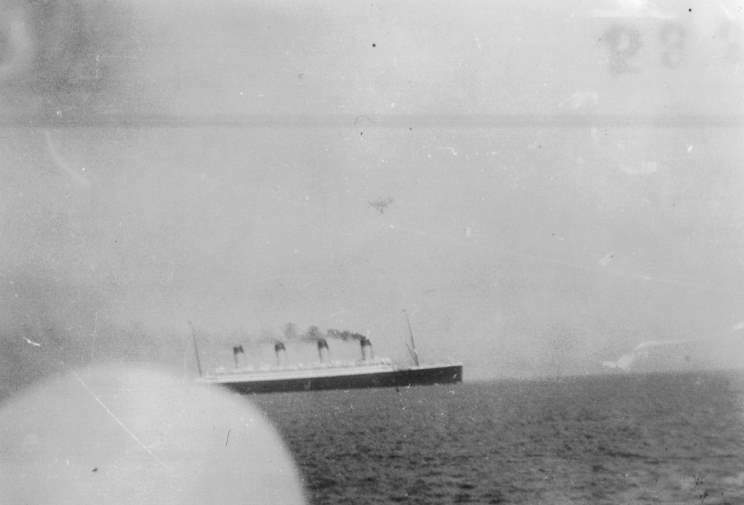 The additional lifeboats seen along the boat deck dates the photo after the Titanic disaster. Olympic seen at Mudros during the Great War.